Literary Lindsey: It's Monday and it's already March! So what happened this week? Nothing too exciting - work and chores and a doctor's appointment. It was a good reading week, though. I'm still behind on my Goodreads goal, but I'm trying not to worry too much about it since it's only March. Do you have a Goodreads goal? How are you doing? Like the mix of books. The Hoffman one has piqued my interest! I liked it a lot. It's less a novel than a bunch of interconnected stories over hundreds of years in a small town. It's only my second Hoffman book and so far I've been impressed by her writing! 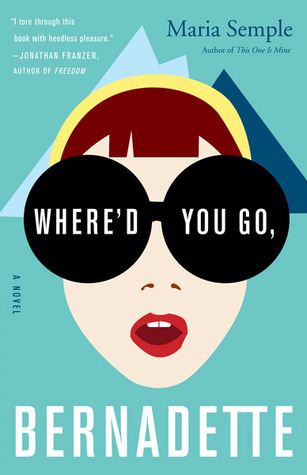 I need to read Where'd You Go, Bernadette! I kept seeing so many glowing reviews I decided that it must be one of those few books that lives up to the hype! I have to confess I never managed to finish Catch 22. It just wasn't my humour. The Happiness Project looks like an interesting read. Will have to look out for that one. I can understand that. I think it's unfairly marketed to an extent. It's not really funny in the way that we tend to think of funny. 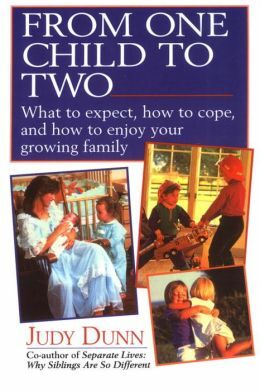 I was thinking I need to get around to reading Catch 22, but then I saw your review. Maaaaybe not. ;) It sounds like I may have to force myself through that one if I try. Have a great week! There were definitely moments where I forced myself to sit down and read, but I was glad to have read it when I was done. That's what I say! It's only March. A lot is going to happen between now and the end of the year. Have a wonderful week! 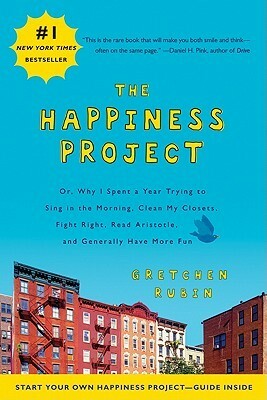 I loved The Happiness Project...and went on to read Happier at Home. I have The Red Garden on my stacks...I should read it soon! I'm enjoying it so far. Was Happier at Home as good as its predecessor? I really liked The Red Garden. 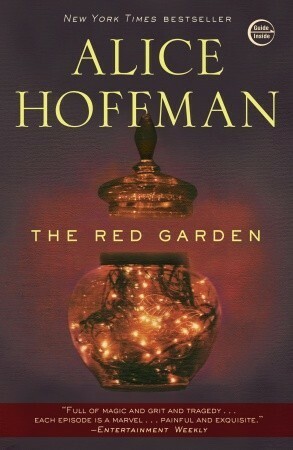 Have you read any other books by Hoffman? Catch-22 is one I have meant to read for a long time, but I always got the impression that it was a bit masculine. It is rather masculine - it's all about war and the only women to show up are nurses and prostitutes. The women are not particularly well-developed, but everyone is somewhat of a caricature. I loved Catch-22 when I was in college, read it a few years ago to see if I would still love it, didn't really! Have a great week of reading. Isn't it funny how we like or don't like books at different points in our life? The relationship between reader and book is so fascinating! I am behind in my goodreads goal also. That is why I am trying to read a book a day. My goal was 200 but i was sick for much of Jan and Feb so I read 5 books total. I LOVED the Happiness Project. How did you like it? I followed some of her ideas and they really did help. Being sick for so long is the worst! I am glad you are feeling better now. I'm really liking The Happiness Project so far. I think the hard part becomes deciding which ideas you want to use for yourself!